"The exercise of governmental powers and the discharge of governmental functions shall be incumbent on the Länder insofar as this Basic Law does not otherwise prescribe or permit." Thus, the federal government can exercise authority only in those areas specified in the Basic Law. The Basic Law divides the federal government's legislative responsibilities into exclusive powers, concurrent powers and framework powers. The federal and state governments share concurrent powers in several areas, including civil law, refugee and expellee matters, public welfare, land management, consumer protection, public health, and the collection of vital statistics. In the areas of mass media, nature conservation, regional planning, and public service regulations, framework legislation limits the federal government's role to offering general policy guidelines, which the states then act upon by means of detailed legislation. The areas of shared responsibility for the states and the federal government were enlarged by an amendment to the Basic Law in 1969, which calls for joint action in areas of broad social concern such as higher education, regional economic development, and agricultural reform. 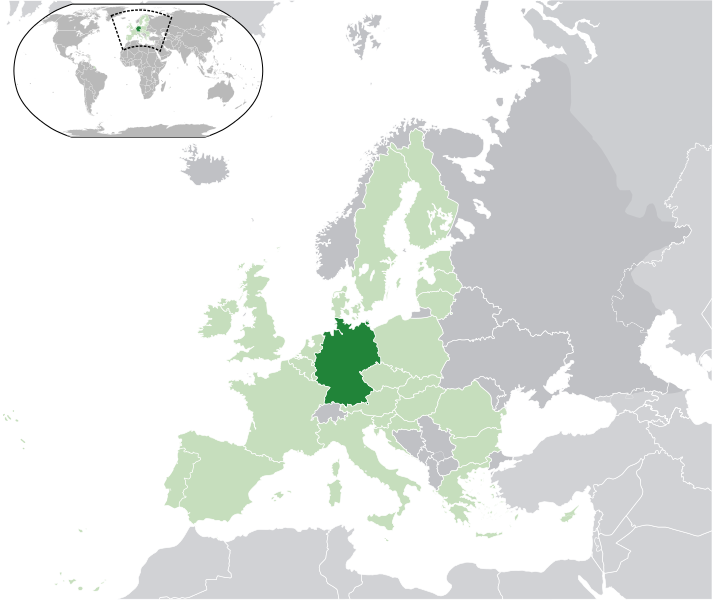 Unlike in other federations, the German states retain the right to act on their own behalf at the international level. They retain the status of subjects of international law, independently from their status as members of a federation. This unique status is enshrined in Articles 23, 24, and 32 of the Basic Law. The states are represented at the federal level through the Bundesrat, which is the upper house of the German parliament. As birthplace of Johann Sebastian Bach, Ludwig van Beethoven, Johannes Brahms and Richard Wagner, among others, Germany's gift to European classical music is important. In thought and word, Germany’s huge heritage includes the works of Luther, Goethe, Schiller, Nietzsche, Kant, Brecht and Thomas Mann.